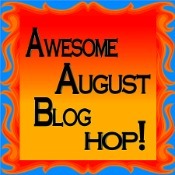 Welcome to the Awesome August Blog Hop, where bloggers from all over the Internet have come together to throw a summertime party! Every blog on this hop is offering a fun prize, and entering is quick and easy. Simply follow the instructions on each blog, leave a comment, and bop right along to the next blog. You can win multiple times, so be sure to check out all the participating blogs! I haven’t read this book yet, but I’m so excited to! It’s a scarier, harsher dystopian society than some that we’re used to, and much closer to our world than most of the dystopes on the market. This book will be available November 1st from Simon Pulse, Simon & Schuster, but you can win it and read it early! 2. 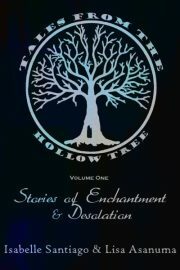 Subscribe to Tales From the Hollow Tree, where Isabelle Santiago and I switch off offering free YA short stories every Friday. 3. Leave me a comment and tell me that you’ve done both things. If your e-mail isn’t available through your profile, I’ll need you to leave that, too – I can’t tell you if you’ve won if I can’t contact you! This blog hop runs through Wednesday night at midnight, so be sure to enter before then! The winner will be notified by e-mail. 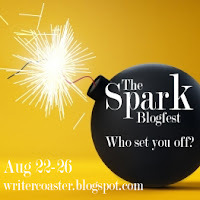 Now that you’ve entered my contest, come meet all my other blog friends and see what fun things they are offering! What author set off that spark of inspiration for your current Work in Progress? I don’t know that there’s one particular author who set off the inspiration for my WIP. 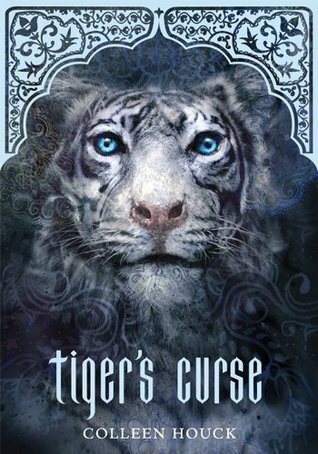 I’d been reading a lot of young adult and middle grade fantasy of various types, and really what drove me to work on this story was the wish to write something expansive. Not “epic” necessarily… but definitely expansive. If I had to point fingers, though… I think I’d have to single out Shannon Hale. Despite what I just said, I’m really not much of a reader of fantasy. There is very little of it out there that doesn’t give me the urge to roll my eyes… especially high fantasy. Unless you’re J.R.R. Tolkein or Brandon Mull, you can keep your dragons to yourself, thanks. And fairies? There was the occasional brilliant book (Lament and Ballad by Maggie Stiefvater) but mostly they seemed like a thinly veiled analogy for teen angst, which I didn’t care for. And unless it’s Harry Potter, don’t even talk about wizards. But Shannon Hale’s The Goose Girl reminded me of the fantasy that I loved—had always loved. Fairy tale magic. Subtle, natural magic. Magic like the whispering of words on the wind, or later on in the series, of the language of fire and water. The Goose Girl also had this wide, sweeping landscape and crossed whole nations. It had castles and communities and class-action suits. Okay, not exactly that last one, but close enough—a group of people who were fighting for equal standing, for recognition. Shannon Hale’s world was so real that I felt like I’d been there, maybe in a dream. I wanted to create something like that. A dream-memory-worthy world. That sure sounded expansive to me. I didn’t want to retell a fairy tale, though. Too many people were doing that… or just about to do that. I wanted to write my own fairy tale. It’s one I’ve fallen dearly in love with, with elements from many of my favorite stories throughout folklore, but I’d like to think with my own special twist. Other inspirations for my WIP include things like Willow, The Princess Bride, and The Polar Bear King, a movie that I loved to death when I was a kid. I wanted my world to stand alongside worlds like these… quietly magical, wonderfully alive fantasy. Even Robin Hood has had its influence here and there. Another thing all these worlds have in common? The hero in the story isn’t quite what you’d expect. Sad girl, pirate, misfit… There’s a lesson in a lot of these stories that strength can come to anybody who stands up and fights for it. That’s something I wanted to write about, too. About extreme conditions, extreme need making even an outcast into a hero. Here’s to You, Judy Blume. What book made you realize you were doomed to be a writer? The book that did me in was Just as Long as We’re Together, by Judy Blume. Yes, I’m a Blume-r. I started a deep love of reading before I really could read—somewhere there is a VHS of me reciting the picture book Who’s a Pest? from memory when I was four years old, before I knew more than how to spell my name. I raced through book after book after book, reading anything and everything I could get my hands on. Fiction, nonfiction, mystery, fantasy, it all had me enthralled. I gobbled up classics like The Secret Garden and Little Women and The Hobbit. And then, when I was eleven years old, a friend made me read Just as Long as We’re Together. I’d read Judy Blume before, though I didn’t realize that what I was holding now was the same author as the Fudge books—which I loved for a totally different reason—but when I read Just as Long as We’re Together, I knew I’d found the thing I really and truly loved. Teen fiction. Young Adult fiction. I was too young to even be considered a Young Adult, but Blume’s stories struck such a deep chord with me—maybe because I was on shaky footing with the friends I thought would last forever, maybe because I was an “early bloomer” puberty-wise and Blume dealt with those sensitive subjects so deftly. I couldn’t get attached to the Babysitters’ Club or Sweet Valley High books that friends were reading and loving so much. They seemed so paltry—Blume’s characters seemed real. Three-dimensional people with souls and pasts and lives of their own. And I wanted to be able to create that. I wanted to write books that people could walk away from feeling like they had new friends, new loves, new people dear to their hearts. Stephanie Hirsh and Rachel Robinson (with her own book as a sequel) are still a part of me today. 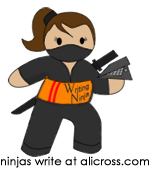 Insecure teenagers fighting to define themselves and their beliefs and motivations—that feeling, that fight, is what made me want to be a writer. What made me want to examine the struggles of the heart and the complications of loving people but needing to be true to yourself, no matter what. I drank those books down, every Blume I could get. Deenie. Are You There God? It’s Me Margaret. Then Again Maybe I Won’t. It’s Not the End of the World. And then I haunted the YA shelves in my local bookstores—you know, back when it really was just a couple of shelves, usually hidden in the kids’ section?—looking every single time for something more. I was starving for young adult books. And there were a few out there… but mostly I was running across things like Lurlene McDaniels‘ books—where somebody always dies and everybody else is left tortured and ruined for it—and that kind of melodrama was not what I was looking for. I just wanted good characters. Great characters. Characters that I wanted to stay up late at night on the phone with. That’s what I found in Blume’s books, and it took me a long time to find characters as great in YA again—though it’s certainly not hard now. And maybe it’s not because there were other kids out there like me… who heard that voice in the vast wilderness of literature and finally recognized something that was their own. My writing has taken a different turn than the contemporary Young Adult that I started making stories up for when I was ten or twelve, but the heart behind the writing has been the same—has strengthened, really. I’m trying my best to capture the kind of power that goes behind emotions when you’re a teenager, and I love the way that fantasy highlights that, and I enjoy putting (hopefully) believable people into impossible situations and see how they deal with them. What’s most important to me is the honesty of the emotion. So here’s to you, Judy Blume. Thanks for giving me my spark. I’m sure I’m not the only one. I had dinner with an old friend the other day. I guess you could say my oldest friend. It’s nice to touch base with someone who’s known you since your awkwardest of high school days, and who you still like and can relate to years later. We talked about high school, and our odd little group of friends that we had—a very nerdy, clique-y group of friends that completely imploded our senior year. Yes, I did say nerdy AND clique-y. We were a fairly elitist back in the day*—we were smart, and likely to go places, and in a barely-accredited high school, that was something. Oh I could talk about how it all stemmed from insecurity and a somewhat fear-driven determination to not only succeed, but soar—about how our need to prove our independence lead us to tear ourselves away from the only foundation we had (each other)—but that’s a whole other post. This friend is the only connection from those days that is upheld on both ends—the only one that has lasted beyond facebook friends. *I promise I’m not elitist anymore. I did it a lot when I was young… it’s not worth it. What I’ve always enjoyed about this friendship is that this friend of mine has always given me a steady sounding board for my life, whether he’s realized it or not. I mentioned offhand to him while we were talking about how I’d always felt like a poser in the little liberal arts college I went to in UC Santa Barbara (where his sister also attended—she was at the dinner, too). I’d studied Literature, and most of the students in my classes wanted to be poets or write their own Heartbreaking Work of Staggering Genius—or whatever. I, meanwhile had always had my heart and mind focused on commercial Young Adult fiction—nothing deep and literary like my classmates wanted to write. And just by his saying it, I realized that he was right. As he went on to say, a lot of the people in that school want to be novelists—like the ideology of it, and the “romance” of being kept up all night alone in a room with a typewriter—but instead they’re teaching or holding down tech writing jobs or doing something else that has nothing to do with literature. Meanwhile, I have made it my business to not only keep writing, but to learn about the publishing business, understanding the querying process, network with other writers and learned the mechanics behind writing a good novel. I also have almost 60K of one WIP, and 55K of another, and am closer than ever to seeing my goal of finishing a novel and querying it out to agents. I’ve also worked hard on building up an online presence, so that if and when I get published, readers will be able to find me and have lots of platforms to interact with me on. This isn’t to say that none of my other classmates are on that same path, of course. But somehow I don’t feel like much of a poser anymore. Well, except when I actually try to use the word “poser,” that is. I really, really enjoyed this book. The editing is far from perfect in some spots, but the adventure is really, REALLY fun. I mean, it gets Indiana Jones-y. At times it’s also quite creepy in a very fun way. The Indian backdrop is amazing the culture, food, and temples so richly described that this is a fabulous get-away book. Really feels like a vacation. Kelsey is a bit silly (she exclaims way too much, at least at the beginning) and you want to slap her upside the head for refusing Ren so much, but she makes up for it with her last goodbye to him, which shows surprising wisdom…. surprising because she’s acted like such a GIRL about it the whole time. Ren’s pretty dreamy. Though he gets a little ridiculous too, when Kelsey’s being pouty. What I love about this, though, is that Kelsey doesn’t just fall into Ren’s arms—even if they are muscular and attached to a very, very pretty face. She wants to be chosen… not just the only option. And again, I really loved the adventure aspect of this book. It was more fun than any YA book I’d read in a long time—no angsty dystopia or mooning, but well-paced action through a well-researched (really well-researched!) exotic setting. Fantastic. I have never wanted to go to India more, and that’s something great fiction should do, entice you outside of your comfort zone. Brava. Really looking forward to where Houck is going with this. I don’t know that I would have had the courage (or the foolhardiness, depending on how you look at it) to go the indie route, but it’s obviously paid off for her! I’d like to read more about her story, and I can’t wait to read Tiger’s Quest. Especially if it has more Kishan in it… what? I love an underdog. Er… cat. – Kick-started with the very first viewing of Captain America. Chris Evans was there to introduce the film in person (very, very pretty person). This movie was really wonderful. I was impressed by Evans’ portrayal, by the faithfulness to the WWII era, and by the acting of Stanley Tucci and Hayley Atwell especially. Tommy Lee Jones was perfect for his role. Surprise hottie of the film was Sebastian Stan, AKA Carter Baizan from Gossip Girl. This was possibly my favorite superhero movie yet. Don’t get me wrong, I love Iron Man, but this had more heart to it. Also, the sneak peek at The Avengers at the end was AWESOME. – Went to see the Batman Arkham City panel with Mr. I’m not a gamer myself, but I most certainly am a Batman fan, and this panel was especially great because I was able to see Kevin Conroy and Mark Hamill talk about having worked together as the voices of Batman and The Joker for almost two decades. I had no idea they’d all worked together so long. The game looks fantastic and gritty, and I know Mr. is very excited for it. – Went to Simon & Schuster’s first ever Comic Con panel, and won two books by Wake author Lisa McMann! The first is Cryer’s Cross, about high school students disappearing, and the second is an ARC of McMann’s first Middle Grade novel, a fantastic looking book called The Unwanteds that’s about a world where children are punished for being creative. It was explained that she got the idea from talking with her son about how all the art programs are being stripped from schools. – I was able to also see Scott Westerfeld and his panel about bringing to life the world of Leviathan. This was an exciting panel for me because I was able to get some insight on the worldbuilding from a series I really enjoy. He spoke about why he wanted to write an illustrated novel, the history of World War 1 and the collaborative process with Keith Thompson that went into making this series. I was excited to snag a signed copy of Leviathan from the Simon & Schuster booth at the end of the Con, and am really looking forward to Goliath, the last book of the series, due out in September. – My favorite moment at the Con was the signing I went to after the Middle Grade panel that I went to. I was able to meet and chat with some awesome book people. Firstly I was able to get my Beyonders book signed by Brandon Mull, author of the magnificent Fablehaven series, and I was able to tell him about how he was one of the authors I was sort of proud of, because I found him on the second-to-bottom shelf in a fenced-off children’s section of a Deseret Book, before there was any hype about his books, and that I’d been telling people to read them ever since. He gave me a high five and sincerely thanked me for telling people about his books, saying that’s how you gain readers. Also, I told him I hadn’t had a chance to read Beyonders yet, and he assured me that I’d really enjoy it, telling me how it’s a little bit of an older audience than Fablehaven, and that he honestly thinks it’s better. – Sitting next to Brandon Mull was John Stephens, author of the new Middle Grade novel The Emerald Atlas, part of a series called The Books of Beginning, which my sister bought at the Con. Stephens has also worked on two of my favorite TV shows—Gilmore Girls and Gossip Girl. I was able to thank him for being involved in Gilmore Girls, especially (he told me he was a writer for the first four years of the show), telling him that I was grateful for anyone who’d had a hand in bringing Rory Gilmore to life, as she was the same age as me and was so wonderful to have on TV as a smart girl who loved books. – I was also able to very briefly talk to Nathan Bransford, agent and author of Jacob Wonderbar and the Cosmic Space Kapow. I was able to thank him for the wealth of information available on his blog about the publishing industry, telling him that I was one of those people who want to do it “right” when I have a manuscript ready to submit to an agent. He told me that I was going about it the right way—learning all I could about the industry and about individual agents themselves. All three gentlemen were extremely nice and it was such a thrill meeting them, mainly because I love book people, and it was so new for me to meet people in person who are as passionate about the bookworld as I am. – I did also see the panel for the new Spiderman movie—which I’m really surprisingly looking forward to. I thought it looked ridiculous at first, but it’s being done by the same producer as (500) Days 0f Summer, and looks like an actual, organically told story, instead being as cartoony as I’m used to Spiderman being. I think what broke me down was when they showed an exclusive trailer, and the music that rolled in was Coldplay’s “Kingdom Come,” which is probably my favorite Coldplay song ever. And it was on footage for Spiderman. Suddenly this didn’t look like a movie about an obnoxious, whiny kid who puts on a red suit and fights bad guys. It looked like a movie about an actual teenager who was smart and conflicted and was coming up with solutions to problems. The producer talked about how influential music was in making the film, and I sort of wanted to make out with him. Also, the kid playing Spidey—Andrew Garfield, was just adorable in the panel. He reminded me of a young Daniel Radcliffe with his overacting talking and excitedness. And the movie has Emma Stone in it, and if she’s not the cutest thing to hit Hollywood since Meg Ryan, I don’t know what she is. So, maybe not what you were expecting from a Comic Con post, but it’s what I enjoyed the most! It was very exciting to see the book publishers back at Comic Con in full force. It seems like their presence has weakened over the past few years, but they were definitely there this year!